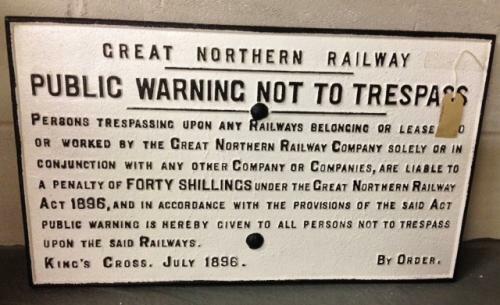 Genuine Victorian cast iron sign, NO TRESPASSING dated 1896. Original lugs on back. Has been hand painted and condition is very good.